What should you do if you’ve been bitten by a dog? Depending on the severity of your injury, you should immediately call the police, who will send Animal Control to the scene. The Animal Control officers will try to determine ownership of the biting dog and whether the dog is current on its vaccinations. If the dog is not current or if this information cannot immediately be determined, the dog should be put in quarantine. Having an Animal Control bite report will be important to win your case. The report will identify the breed of dog, the owner’s name, your description of what happened and the disposition of the animal, which is important in proving your case. After calling the police, we recommend that you immediately seek medical attention. Even if you think it’s something that might go away in a week or two, you should seek medical attention so you can document the injury for insurance purposes. Even a minor wound can become infected from the bacteria in a dog’s saliva. Of course, if you have a cell phone or camera available, take photos of the dog and your injury. You may need the photographs later to ID the animal or to show the severity of the wound at the time it occurred. How much compensation can you get for a dog bite? A dog bite case is similar to any other negligence case – whether it be a car accident or other type of personal injury matter – you’re entitled to your medical bills, lost wages, and compensation for your pain and suffering, which is usually past pain and suffering and future pain and suffering, if you’re left with a permanent injury. The amount of the compensation will be determined by the severity of your injury. Our course, the amount of the compensation may be limited by the liability limits on the insurance policy of the dog owner’s homeowner’s insurance. Homeowner’s insurance covers the injuries caused by a homeowner’s dog. Most homeowner’s insurance policies have liability in the sum of between somewhere $100,000 to $300,000. If there is a mortgage on a home, the chances are there is a valid homeowner’s policy. However, if the owner of the dog is a renter, they may very well likely not have insurance coverage to pay for the injuries caused by their dog. With renter’s we have to look and see if they have purchased renter’s insurance which would cover the claim. That’s one of the first things we do when a new case comes on. We’ll research and look up the owner of the home to see if it’s the same person that owns that dog, and then send a letter to the owner of the dog advising them of their liability, and advising them that it’s probably in their best interest to contact their homeowner’s insurance carrier and/or forward that information to us so we can do that on their behalf. If a dog bite occurs and the dog’s owner is a renter and does not have the insurance coverage, would a dog bite victim then tap into their own health insurance policy for treatment? North Carolina health insurance is always primary in an accident claim, other than workers’ comp. Workers’ comp provides medical insurance. But a normal car accident, dog bite claim, or any other type of personal injury in North Carolina, you always file with your health insurance first, since the insurance carrier for the at-fault party does not pay anything until the final settlement, which could be anywhere from three months to two years down the road – depending on whether or not litigation is instituted. So you want to get your health insurance filed right away. If the owner of the dog does not have homeowner’s or renter’s insurance to pay for the claim, you can be stuck with the medical bills. At least if you have health insurance coverage, your medical bills will be paid. Can you pursue a claim against a landlord? There’s a case out there that – I’m not sure if it would apply to every situation, but there’s a case out there with limited circumstances where the landlord was held responsible, and I believe it’s because he knew or should have known that the tenant had a vicious dog, and it had attacked before. This is very difficult to prove. How is compensation from a dog bite determined? Well, as we discussed earlier, it’s based on the amount of the medical bills, the severity of the injury, the type of treatment received, and whether or not there is permanent injury. Most dog bite victims will be left with a permanent scar. In that situation, depending on the severity of the scar or the type of doctor they’re treating with, we’ll have them see a plastic surgeon 6-12 months post attack to document the permanent nature of the wound or scar. At this juncture, the plastic surgeon will be able to give his opinion on the permanency of the scar if anything can be done to minimize the visibility of the scar or the appearance. We use the report of the plastic surgeon as part of the settlement process. A lot of times, people suffer medical complications that arise from a dog bite, such as a staph infection or keloid scarring which will increase the settlement value of the claim. What are the laws on dog bites in North Carolina? With certain exceptions, North Carolina generally follows the one-bite rule – meaning, owners are generally not responsible for paying for damages from a dog bite unless their dog had previously bitten someone else, or they had reason to believe that their dog had a propensity toward violence, or if they had known or should have known that their dog was dangerous. For example, certain dogs are bred for security or attack purposes – Pit bulls, Rottweilers, German shepherds, Chows; there’s a few more – and owners will be held liable for the general propensity of that breed. Likewise, if a dog has previously been declared a dangerous dog by the municipality, an owner will be responsible. And that’s a good reason for contacting Animal Control. If that dog has bitten someone before and they reported it, they’ll have a record of it, and that will help prove your case. Even if there is no record, if that dog does bite again, the next person that’s bitten will be able to prove their case, based on the one-bite rule. How do you make a claim for dog bite compensation? Well, the hard part in a dog bite case is finding out if there is insurance on the owner of the dog. It’s not like an auto accident case – you obtain a copy of the police report which has the name of the insurance carrier and policy number. Generally what we have to do is send a letter to the owner of the animal, asking them to file a claim or send us a copy of the insurance policy or the name of their carrier and policy number so that we can file the claim on our client’s behalf. Sometimes the owners of the dog will ignore the letter, and in those instances, we will have to file a lawsuit. Once the lawsuit is filed and you seek their discovery, they have to give the name of the insurance carrier and the policy limits. Hopefully, that can be avoided. The dog owner we usually file the claim once they receive a copy of our letter threatening lawsuit. If a bite report has been filed with Animal Control, we will obtain a copy, and move forward with the claim. The client’s job, in this case, is to get treatment. We’ll handle everything else. How willing are insurance companies to engage in settlement talks for dog bites, or would they prefer to battle you in court? We have had success with dog bite claims and dealing with the insurance carriers. Of course, a lot of it depends on the type of dog and the severity of the injury, but a lot of time the homeowner’s insurance companies want to put this behind them. There are instances though where the insurance carrier may deny the claim, based on a number of factors – one of them being whether or not the dog had a dangerous propensity or had bitten before. Another fact would be whether or not the injured person contributed or was partially at fault. If they walk up and pet a dog without asking the homeowner, and it bites them, they very well may have assumed the risk and be contributory negligent, and under North Carolina law, recover nothing. You may also have a trespassing issue which could harm the claim. But we’ve noticed, especially with young kids or bad bites, the insurance companies are willing to try and resolve the case as opposed of going to trial. Who is liable for a dog bite? The owner of the dog is liable. As long as the dog has previously bitten someone, the owner should have known the particular breed’s general propensities, or the dog has previously been declared a dangerous dog. In jurisdictions with a leash law, a dog owner could potentially be liable for injuries caused by their dog in violation of the leash law. For example, the dog is running loose on other property or trespassing, the owner may be responsible, even though, the dog has never bitten before and was not a known dangerous bread. The dog owner’s negligence in failing to secure the animal would enough to prevail. We’ve had a number of cases where dogs have roamed another neighbor’s property and attacked children or – I had one case where an elderly woman was watering her flowers, and a giant, friendly Great Dane jumped up on her. She fell down and broke her hip. Obviously, the owner and his kids were negligent for letting the dog out of the yard and running loose. So that’s a different type of dog situation. It was a friendly dog, but a little overly friendly, and they were negligent, so they were responsible. The owner of the dog is responsible, but the landlord, who didn’t participate – we touched on that earlier – they’re not responsible, similar to the owner of a car. It has to be the person that was negligent and knew or should have known, and contributed to the dog biting the person. Are there criminal penalties for a dog bite? It’s a Class 1 misdemeanor if a dog attacks someone, and they incur more than $100 of medical treatment. You don’t see that charge that often, but other criminal penalties may apply if an owner directs a dog attack, and I guess, in that situation, you’d have to have witnesses to prove that, but it’s similar to any other type of assault and battery charge. What are the dangerous dog laws in North Carolina? Inflicting a bite on a person resulting in broken bones or disfiguring lacerations, or required cosmetic surgery or hospitalization, or if killed or inflicted severe injury upon a domestic animal when not on the owner’s real property, or has approached a person when not on the owner’s property in a vicious or terrorizing manner, in an apparent attitude of attack. North Carolina law imposes strict liability on the owner of a dangerous dog for any injuries or property damage caused by that dangerous dog. Can a dog bite case go to trial, and what factors contribute to that? Yes. Like any other case, if the insurance company does not want to settle – let’s say they deny the case saying that your client is partially at fault, or they agree to the dog’s responsibility, the dog owner’s responsibility but they don’t want to pay the amount that you want, the case most likely will go to trial. It’s no different than any other case. Does homeowner’s insurance cover my dog biting someone? Most homeowner policies do cover dog bites. There are some insurance companies that exclude coverage for certain breeds of dogs. I’ve seen that before, but I’ve never dealt with that situation where one of my clients was injured by someone but the insurance company denied because of that, but they’re out there. Do I need an attorney if I’ve been bitten by a dog? With any type of personal injury case, we recommend that you get a lawyer to help you out. 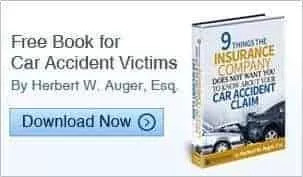 Studies have shown that victims or people injured in accidents, who received injuries, received a much higher settlement or award than those without representation. Every jurisdiction is different when it comes to the restraint of animals. Not all have leash laws, and dog bite cases are difficult to prove, and oftentimes, even more difficult to find insurance coverage. Insurance carriers will always require a recorded statement of your client. Depending on how you word that statement or how you word the attack, you could kill your case if you slip up or characterize what happened in a certain way that allows the insurance company off the hook. It’s very important that we sit down with our clients to go over what happened, to make sure that they describe the occurrence to the insurance company in a way that doesn’t harm them under the law. The insurance adjusters are trained to ask certain questions and get answers in a certain way to sort of trick our clients, or to trick the injured person, and to prove that they had been contributory negligent or even 1 percent at fault, that would allow the insurance company to deny their claim. So it’s very important, in any case, especially a dog bite case where they’re going to require a statement, to make sure you sit down with someone to go over the case, and make sure that when you speak with the insurance company, you’re using the right legal terminology, and explaining the situation the way that they should hear it, not the way they want to hear it. We’ve had a number of cases where the clients have come to us after they have given a recorded statement, but they worded it the way it happened in the wrong way, and it was taken in a different light, which allowed the insurance company to deny it. Some people think that they just go on and on and guess or say what might have happened, or what could have happened, or just go into other topics during their statement and they think that’s helping the insurance company, but in a sense, well, it is helping the insurance company. It’s helping them in some instances to deny their claim. We’ve handled a lot of these cases over the years, we’re one of the few firms, I think, that even advertises dog bit claims – but now more firms are starting to do that. But, in any event, we’ve recovered – we settled one last week for $100,000 for a utility man who was at a residence, and attacked by a dog, and bitten very bad. The owner let the dog out, knowing full well that he was in the backyard, so they were negligent in that situation. We just had another one for $135,000 for a woman who was knocked down by a dog in her backyard and broke her hip. We had another one where a Rottweiler attacked a client, who had some bad bites on the leg and face. We have been very successful with dog bite claims and created a niche for our firm in that area of personal injury law.